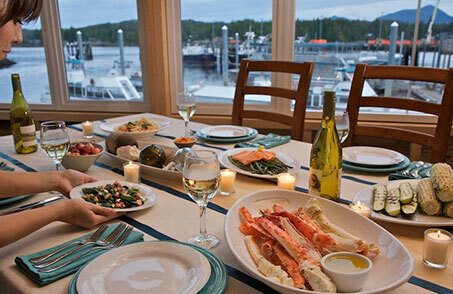 Private dining in Ketchikan is about fresh seafood, a great view, an Alaskan atmosphere, and a sense of community. 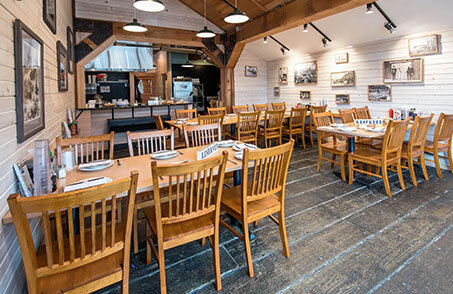 Whether planning a family or corporate event, the Alaska Fish House is ready to provide an authentic Ketchikan dining experience. 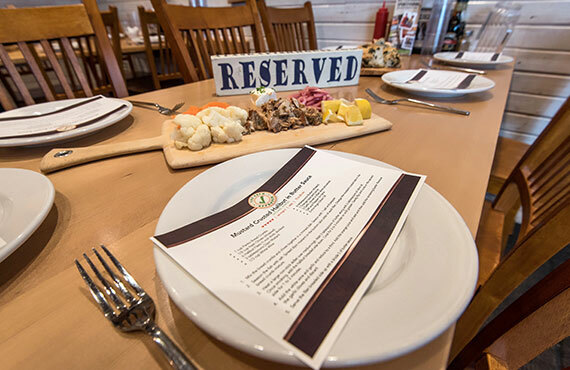 Our private dining room is set up to provide single-table or full-room private meals for important functions such as rehearsal dinners, graduation parties, or business luncheons, while larger events like wedding receptions have the option of booking our entire restaurant. With plenty of floor space, an amazing view, and a rustic atmosphere, the Fish House is a wonderful location to celebrate, close a deal, tie the knot, or just make memories. Our chefs are as excited about preparing their dishes as you are to eat them. The Alaska Fish House culinary manager has put together a team of passionate, professional chefs that share his vision of providing a unique "farm to table" dining experience. They design their menus and dishes around what was caught that day, and what locally foraged items our team was able to bring in. Whether an inspired dish or a requested classic, our chefs are determined to turn the freshest ingredients into a something truly special. For many, the fishing trip isn't complete until their catch is on the table. 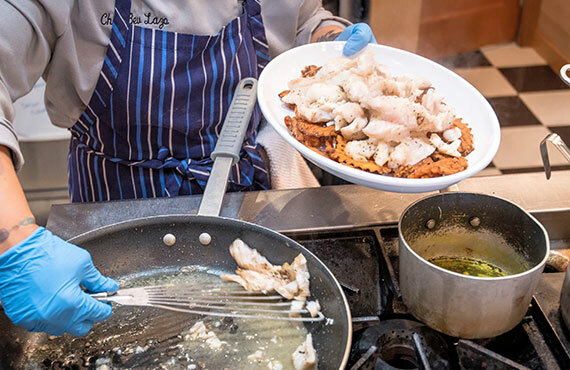 Our Cook Your Catch program allows guests to spend a day on the water, watch as their fish is cleaned, and see it prepared in a private kitchen before sitting down to a world-class meal with friends and family. What is a chef's table? Simply put, a chef's table is a private dining experience where a chef can flex his or her culinary muscle. Passionate individuals that want to share their love of food with others will offer a meal where the chef decides the menu. The guests watch as raw ingredients are transformed into exquisite dishes, hear the story behind the ingredients and inspiration for each offering, and taste the artistry of a beautiful meal. Our chef's table focuses on fresh Alaskan seafood, and traditional ingredients foraged from our local forests and shores. A chef's table is meant to showcase a chef's skill, passion, inspiration, and ingenuity. Towards that end, chefs are only interested in including the best ingredients possible. 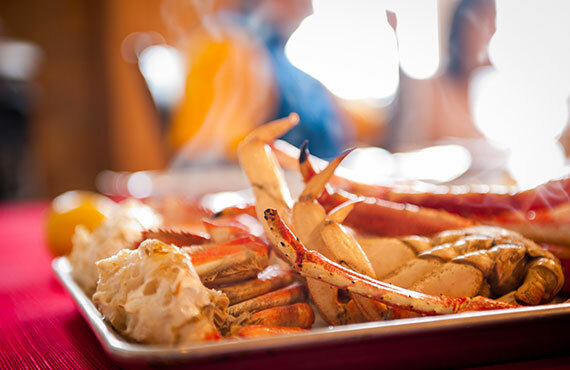 At the Alaska Fish House, this not only includes the crab, shrimp, salmon, halibut, oysters, and other seafood you'll find on most menus, but also more exotic and intriguing local edibles; devil's club tip, spruce tips, ribbon kelp, sea weeds, sea cucumber, sea urchin, local berries, rhubarb, salmon berry blossoms, licorice fern, and trapper's tea are just a few examples of what our chefs are excited to work with as they come into season. We'll be working with our own team to forage special ingredients throughout the summer, as well as coordinating with local growers and harvesters to keep our cupboard stocked with traditional foods and ingredients for our guests. 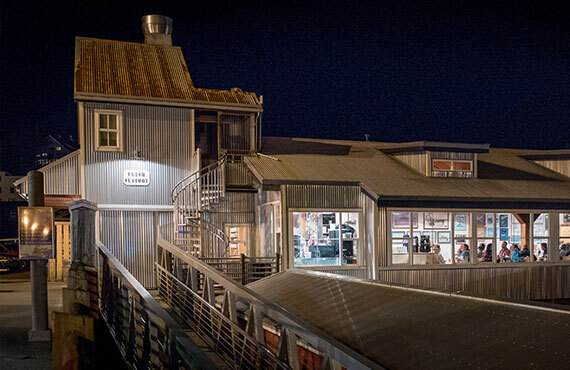 The Alaska Fish House provides several different options for your private event depending on your party's size. Whatever the occasion, our event planner and chefs can assist in creating a unique, intimate experience. 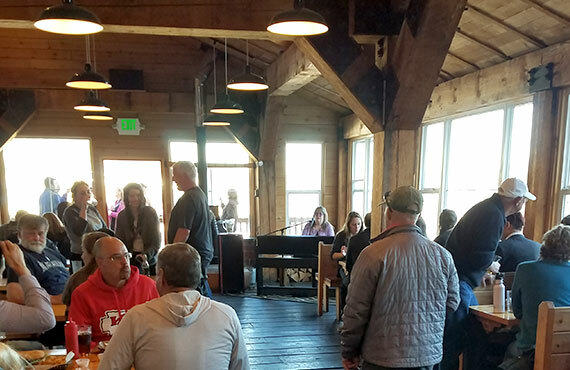 The Alaska Fish House regularly hosts musical events. With a full kitchen and bar, we're able to throw quite a party. Our newly remodeled private dining room accommodates 24 guests on four tables. Work with your chef on designing a menu, or challenge them to impress you with their own inspirations. 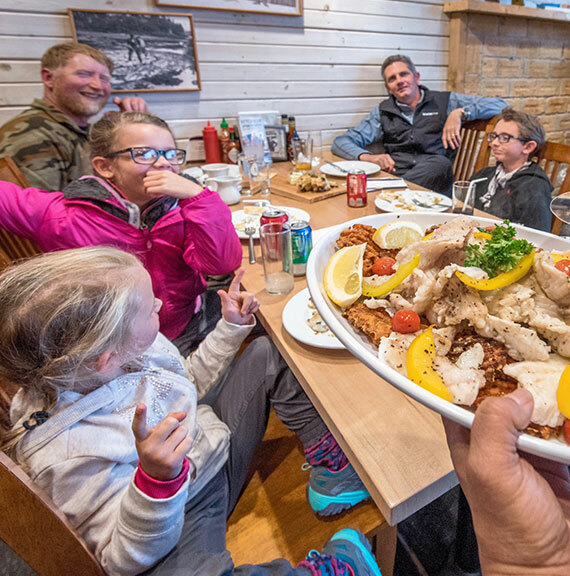 Our Cook Your Catch offering allows for 6 guests to enjoy a fresh-caught Alaskan dining experience. Take it a step further and book an extra table and bring the rest of the family in for a special meal. Our Alaskan Chef's Table sells by the table, with a minimum of four guests per. Impress a client or knock your wife's socks off with a 7-course, chef's choice anniversary dinner. The Alaska Fish House Chef's Table - A seafood dining experience.